Today they started work on the vacant block next door. 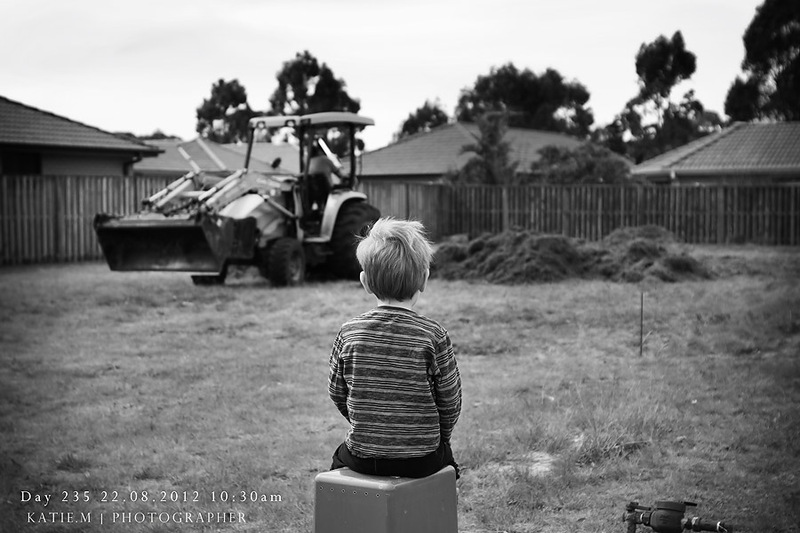 The kids think it’s great watching the diggers come and work, but that block will be missed for playing in. I sat with Eli this morning for over an hour watching the digger dig and dump. They are also building on the block behind us too, it’s going to be very noisy in the months ahead.